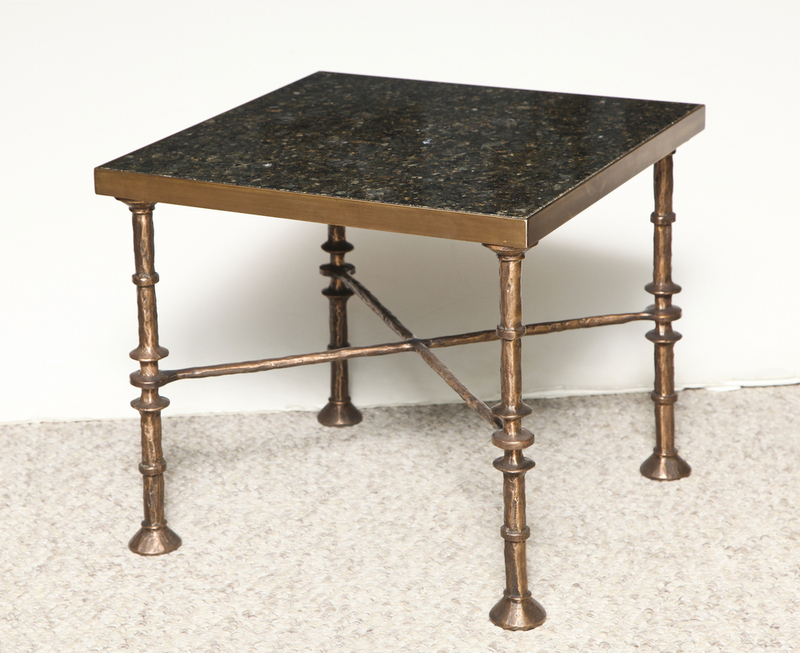 Beautiful low drinks tables of bronze with gorgeous stone tops. 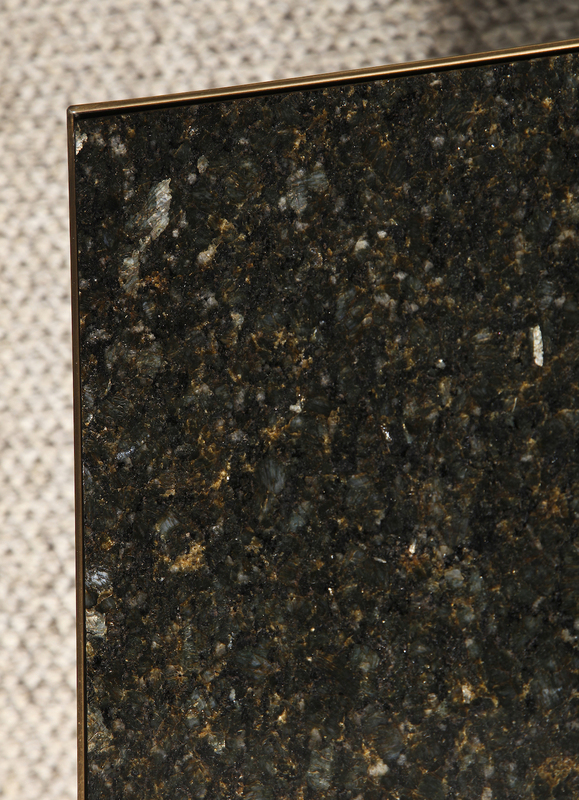 Hand-forged bronze bases, hammered texture with custom patina. 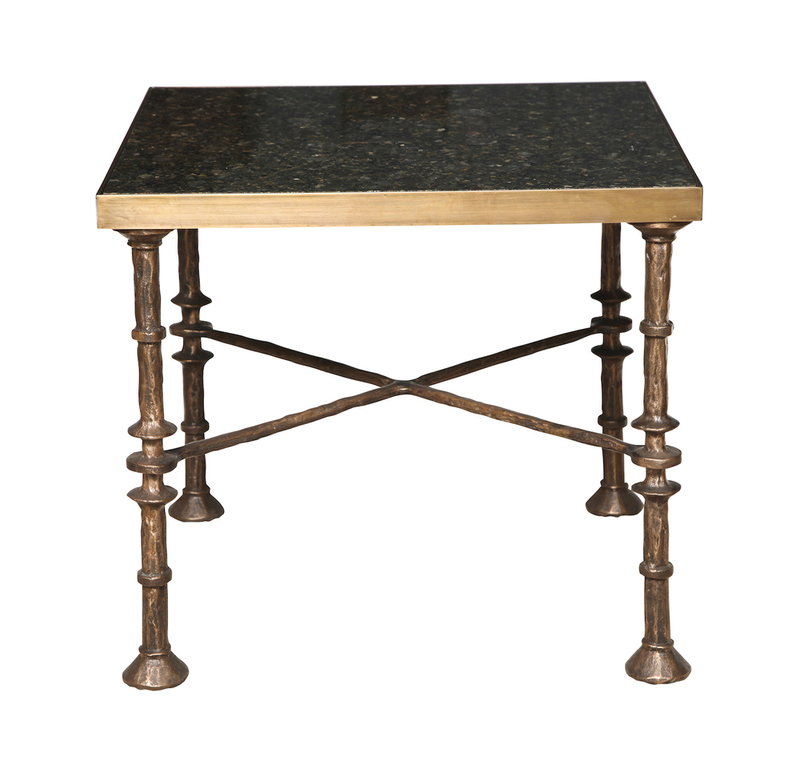 These tables are priced per table, are made per order in France and require a 12-15 week lead-time. h. 15.25" w. 17" d. 17"